During childhood through early adolescence, it’s crucial that parents keep their children’s teeth healthy as permanent teeth start to appear. Now is also the time they should begin establishing proper oral hygiene habits to prevent future problems. If you’ve noticed an increased number of young patients with oral health issues, consider adding Your Child’s Teeth: Ages 6-12 to your arsenal. 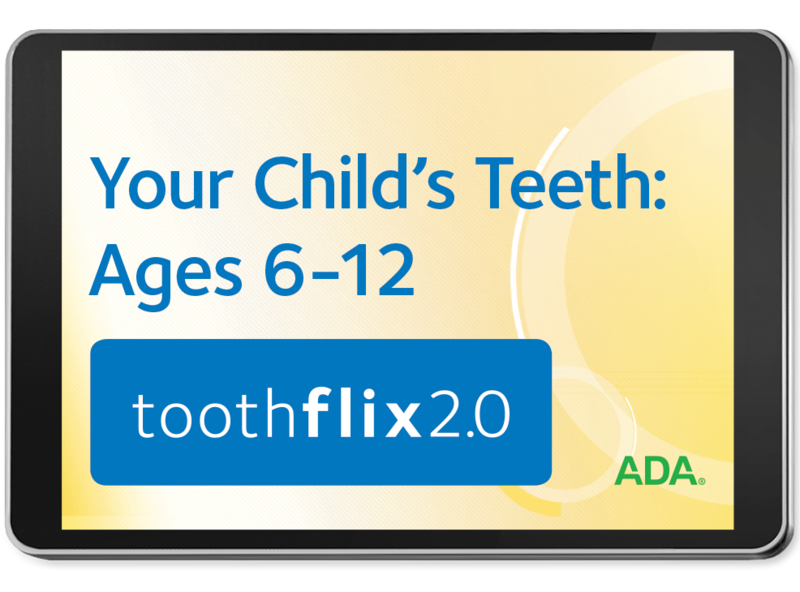 This video, one of 26 in our updated Toothflix® 2.0 streaming video series, serves as a flexible, engaging educational tool about children’s oral care. It covers several relevant topics, from correct brushing and flossing techniques to limiting sipping and snacking, as well as when to consider an orthodontic evaluation. Best of all, this streaming video can be shown from any web-enabled device. Establishing healthy habits in young patients should be a priority for any dental practice. Oral health and overall health go hand-in-hand, and if you can establish good patient-doctor trust early on, they’re much more likely to remain a loyal patient for years to come. The great thing about our up-to-date Toothflix 2.0 streaming series is how easy it is to use. Each video you purchase is instantly accessible through your online ADA e-bookshelf. No more hunting around your office to find those outdated DVDs! To learn more about this video series, visit ADA.org/toothflix. Do your part to keep your young patients on track to oral health – purchase your copy of Your Child’s Teeth: Ages 6-12 today!